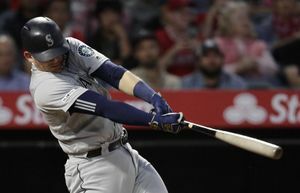 Growing up in the Kent area and worshipping the Mariners, the chance to work with the organization's greatest hitter has been a dream come true for Hague. PEORIA, Ariz. — It’s difficult to explain the feeling when your adult professional life somehow brings you back to a place where you can relive some of the most important moments of your childhood. 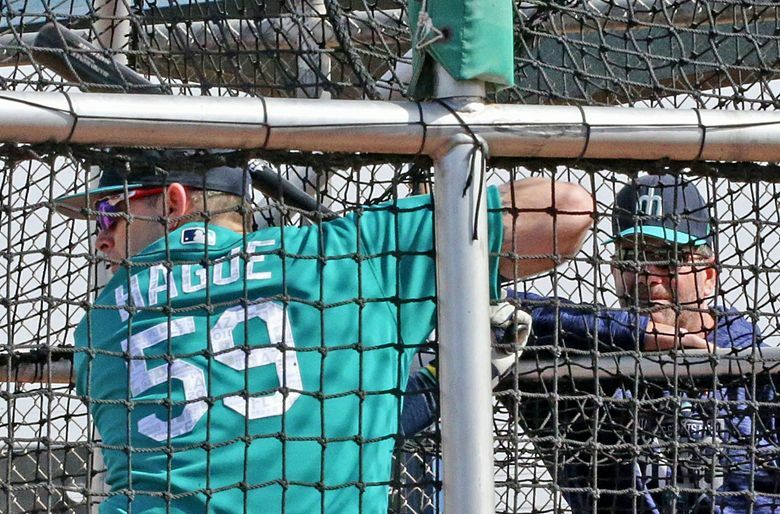 For Matt Hague, that moment has come this spring training when he does his early batting cage work and hitting Edgar Martinez, a player he idolized as a kid growing up in the Puget Sound, is there to mentor him. It became a little more surreal when Martinez grabbed a bat and demonstrated a few things during one session. “He didn’t take full swing, but 10-year-old Matt is pretty thankful for that opportunity,” he said. It’s the awe of “10-year-old Matt” that gave Hague a brief pause when he first saw Martinez there in the cages working with hitters. But he quickly found out how unassuming, approachable and affable Martinez is as a person and a coach. 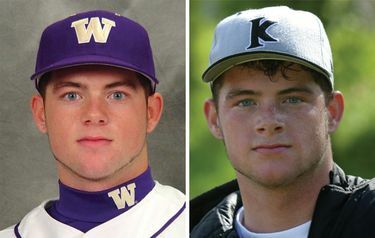 Born in Bellevue and raised in the Kent area, Hague was a standout at Kentwood High School and later played for the University of Washington for three seasons and his senior season at Oklahoma State. He worshipped the Mariners growing up in era of the team’s highest success. And Martinez, well that’s just a whole different level of fandom. That’s an entire family thing. “They’re obviously huge Edgar fans,” he said. So much so that his mom, Teresa, sent him an old picture a few days ago knowing that her son was working with Martinez. The photo was of Hague and his young brother, Mike, as children and a very young-looking Martinez. 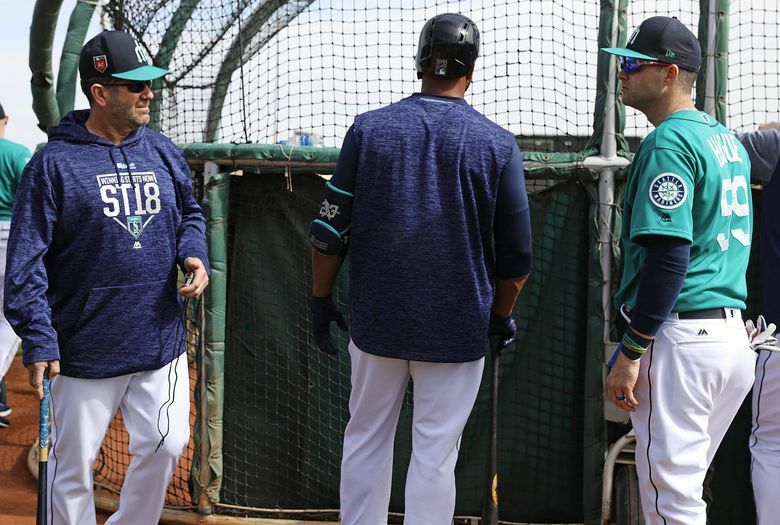 So after an early hitting session where he worked and talked with Martinez extensively on Tuesday, Hague shared the picture on his Twitter account late that afternoon. How could he not share the moment? Perhaps he and his brother can get Martinez to recreate that photo again, which has become a popular trend. Childhood nostalgia aside, Hague knows that mining Martinez’s knowledge and experience can only be useful. Hague signed as a minor league free agent early in the offseason. While he lives in New Orleans in the offseason, the chance to play close to childhood home and his family that still resides in the area was a draw. 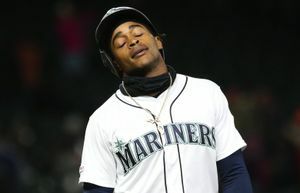 While he seemed ticketed for Class AAA Tacoma, Hague could have an outside shot of making the opening day roster as a first baseman because of the injury to Ryon Healy. Hague has 43 games of big league experience and a veteran approach at the plate. Last season, he .297 with a .789 on-base plus slugging percentage, 30 doubles, 10 homers and 65 RBI in 136 games for Class AAA Rochester.